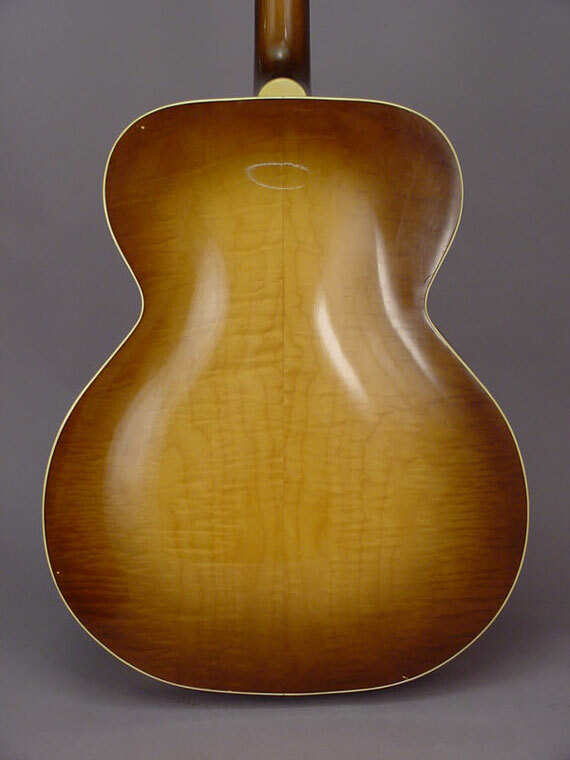 This one is a confusion of styles. 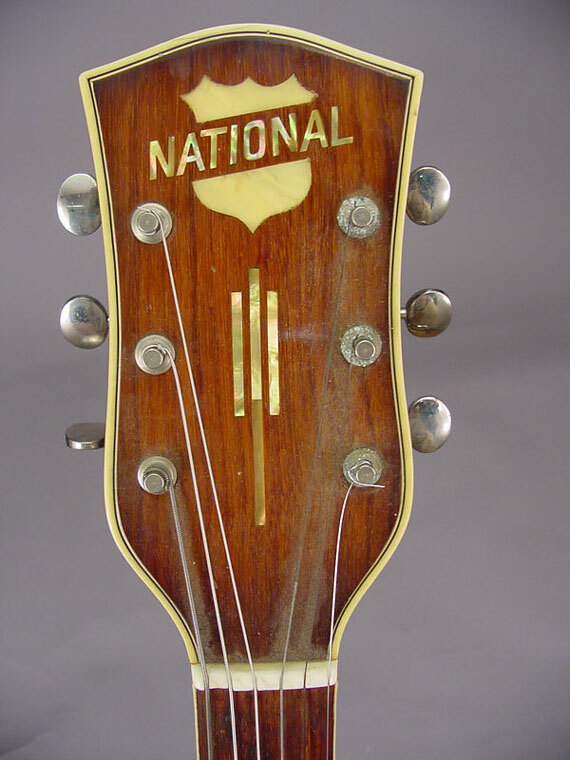 It looks as though National was trying to crack into the jazz guitar business with this big bodied laminated archtop guitar. 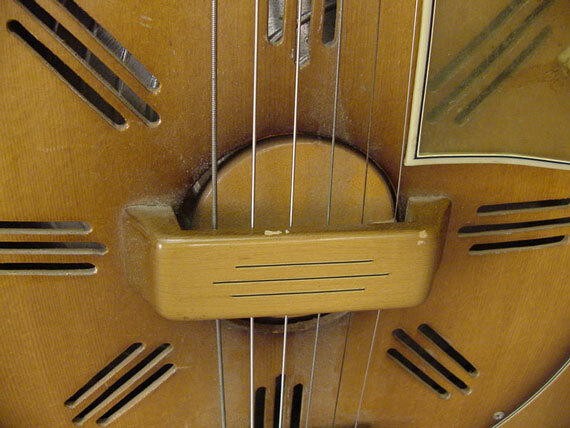 Underneath that contoured wooden cover plate is National's regular aluminum resonator cone. 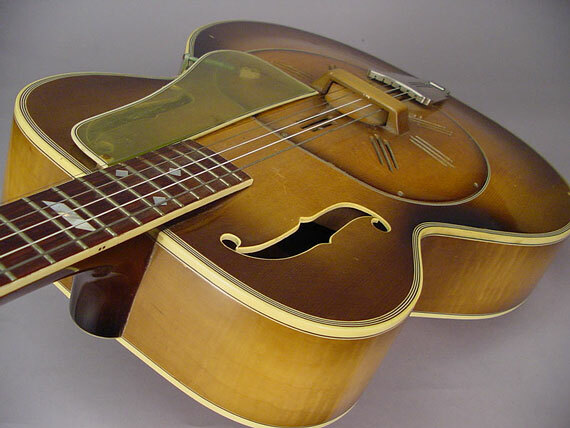 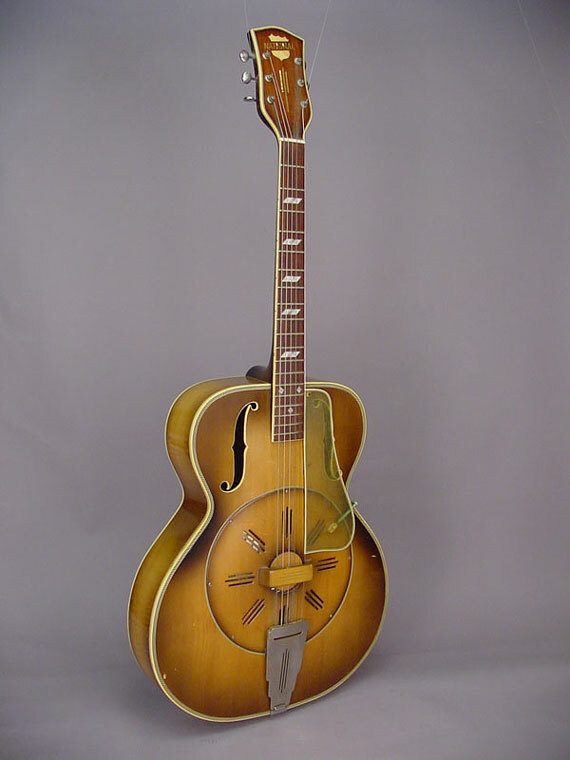 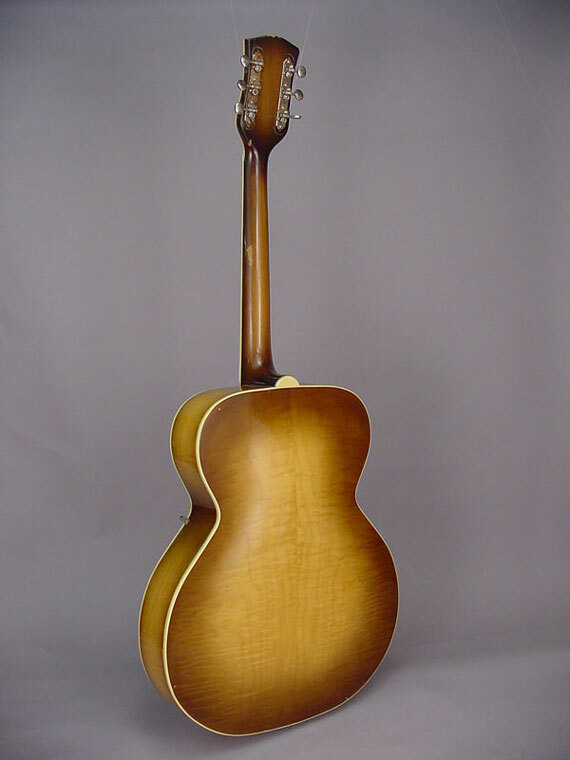 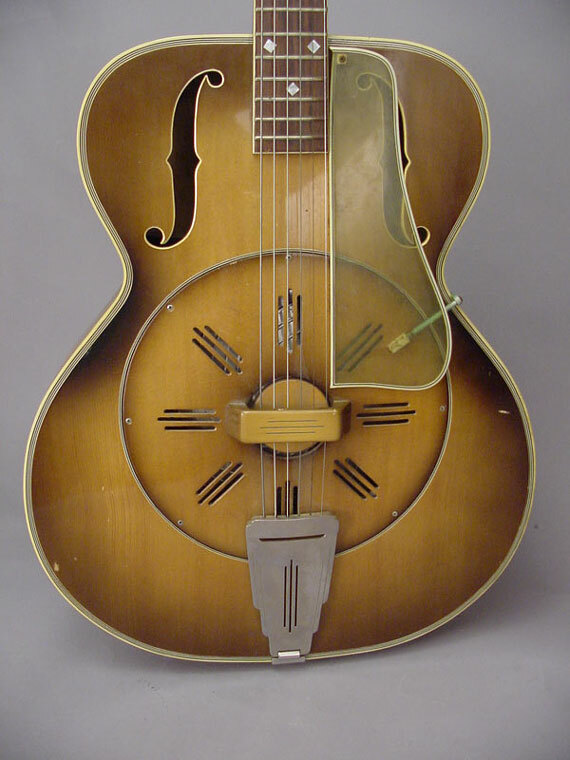 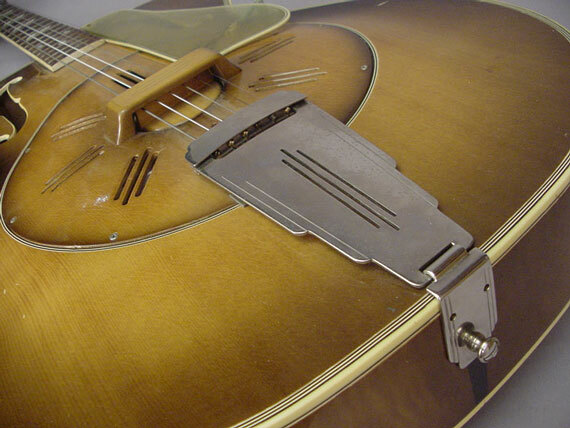 As I understand it, many if not most of the original wooden cover plates didn't survive the manufacturing process so a large number of these guitars was originally shipped with the same metal cover plates used on the metal body style "0."